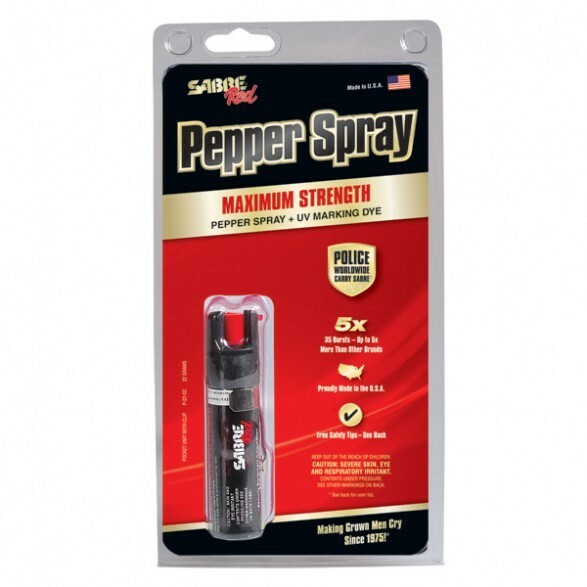 Sabre Red causes a severe burning sensation in the eyes with copious amounts of tears, coughing and difficulty in breathing. The eyes close involuntarily, the nose runs and moist skin stings. 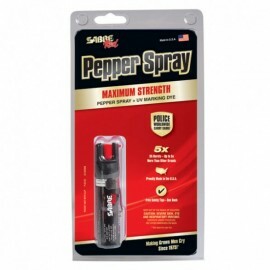 This compact pepper spray provides you a discreet way to protect yourself at a safe distance thanks to the pocket clip.